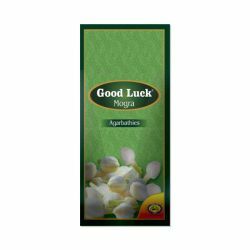 Multi-colour wooden agarbatti stand and ash catcher with a holder that rotates is specially designed to help the user decide the required angle and conveniently fix the incense in the orifice provided. 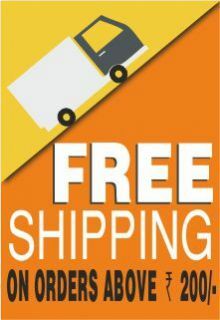 The angle of the holder is adjustable, and the ash catcher is long enough to accommodate agarbathies of various sizes. 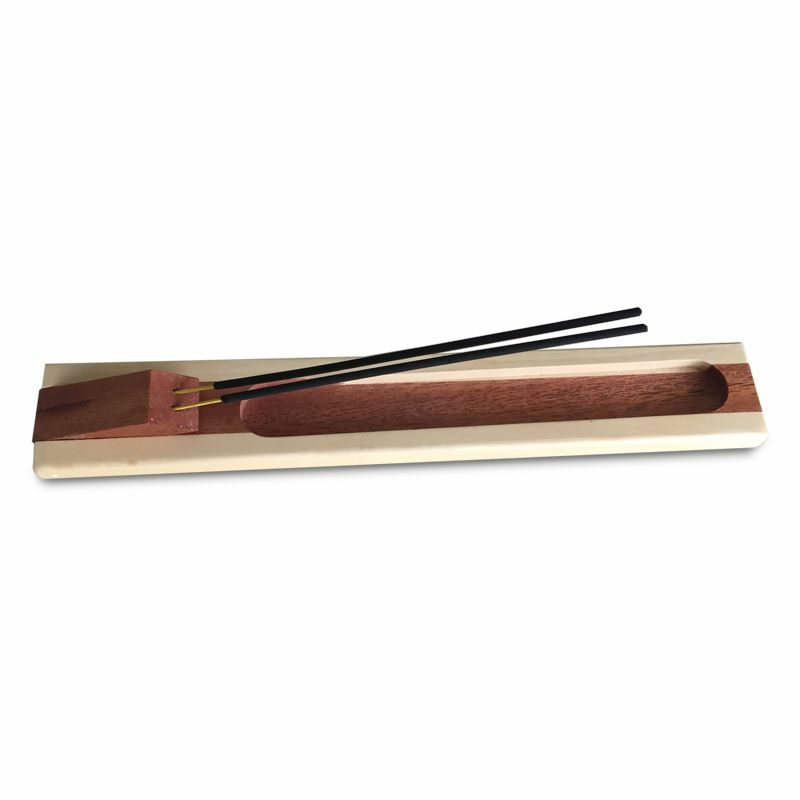 The two types of wood used in the incense holder give it an elegant look and are sure to garner the appreciation of any art lover. Get used to receiving compliments for choosing the most eco-friendly, functional and aesthetically appealing incense holder. 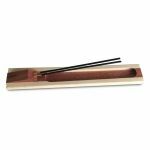 The utilitarian design of the incense holder with its sturdy looks and user-friendly design is meant to hold two incense sticks at a time and hold maximum ash. The deep trough helps to carry and dispose of ash without spilling. We suggest sprinkling a bit of sand on the agarbathi holders to avoid burnt stain that may occur due to falling cinders. 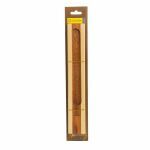 These are handcrafted and hence no two agarbatti holders are the same, the texture and finish vary with each piece. 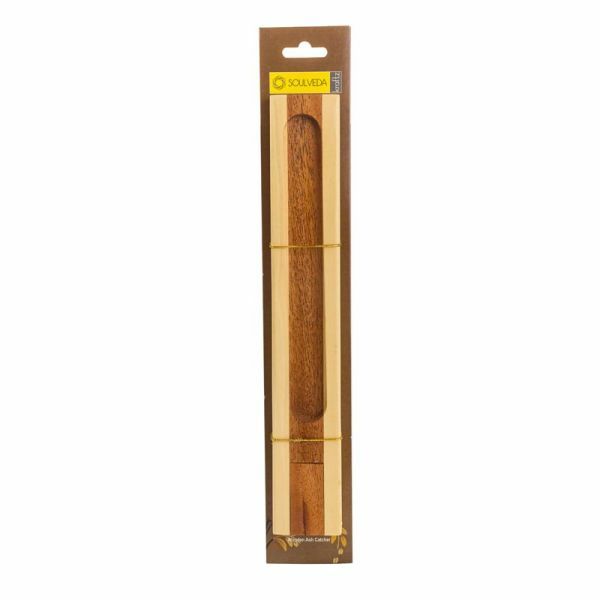 This incense stand is a perfect choice for people who wish to gift sturdy, elegant and utilitarian products. 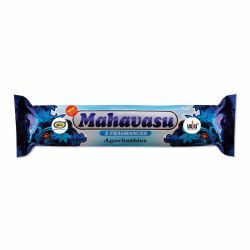 These agarbatti holders, handcrafted by traditional artisans of Karnataka, are coated with an eco-friendly finish and are easy to maintain and clean.